Appeared in six games during the 1980 season but made only one reception as a Buccaneer despite making three starts in the process. 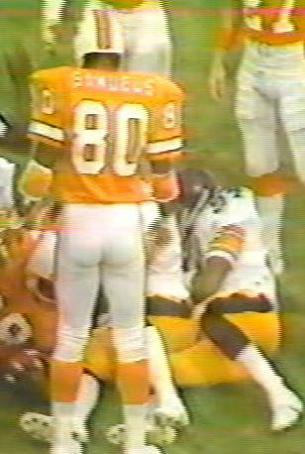 Had previously spent four seasons with the Chiefs and then re-appeared in the USFL's inaugural season with the Washington Federals. Caught one pass for 30 yards with the Federals and then briefly appeared for the Tampa Bay Bandits in 1985 without catching a pass.